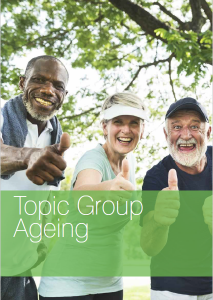 The Ageing Topic Group aims at sharing knowledge and examples of best practice with regards to housing stock and services, improving the quality of life for the elderly by helping them to continue living independently in homes adapted to their needs. We face a future in which Europe’s population is ageing. We are living longer and the need for housing for senior citizens is going to increase significantly. To meet future needs, we have to adapt our housing stock. This is a big challenge. Most of the houses are already built and it’s very expensive to adapt existing homes. By sharing each other’s experience and jointly working towards the same goal, we can find new ways to improve the living environment for elderly people. In 2000, elderly people made up 10–15% of the total population and this is expected to increase to 20–25 % by 2020. This demographic change in the population creates a challenge for society as a whole. 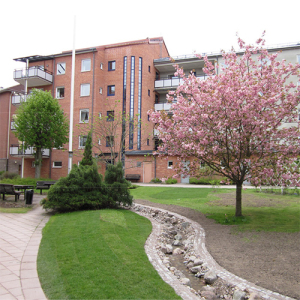 Implement the Age Awareness Day concept to educate housing company´s staff about ageing issues. A growing number of older people want to stay in their own homes and this is becoming an important issue for housing companies. 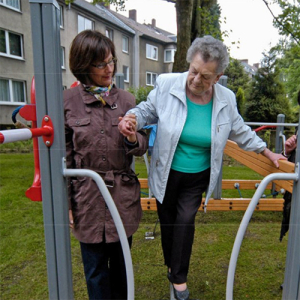 By working in partnership with public authorities and the private and voluntary sectors, housing companies can improve the quality of life for older people by offering housing and services adapted to their needs. To ensure that the needs of older people are taken into consideration when planning new dwellings, refurbishments, or the adaptation of existing stock, we have developed a set of checklists which are presented in the brochure “Getting older – A challenge for all of us”.